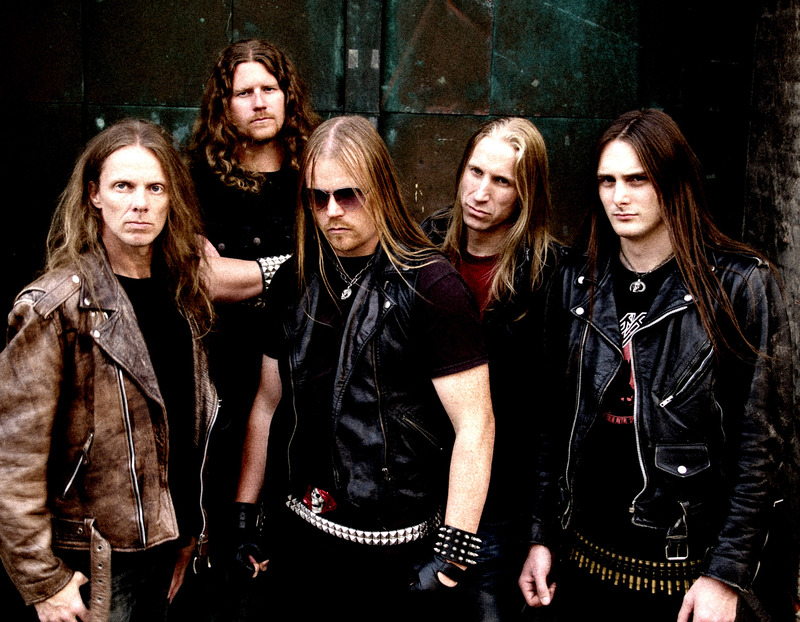 RAM is a heavy metal band formed in Gothenburg, Sweden back in 1999. They have 5 full length albums so far, the band has been keeping the traditional Heavy Metal and they believe that this is the true metal and this is what they will be doing. We Interviewed the frontman Oscar let’s hear from him. Greetings from MHF Magazine Oscar, How are you today? Hey Keith, I’m doing well, How are you. I’m Well, Thanks Oscar. Rod is released last month, can you tell me how it all worked out for you guys? It was our 5th full length album, we are so happy about the outcome, I bet the fans will love this record. This album sounds like a concept album, If I’m not wrong? Only the B-Side is based on the tale of Ramrod The Destroyer, apart from that it is a regular one. Is Ramrod The Destroyer a Character created by you? Yes it was created by me, Ramrod the Metal Warrior. RAM was formed to have the traditional Heavy Metal genre back, and you guys never liked the collaboration of Heavy Metal with other genres, does that mean you hate changes? Yes, It’s true that when we started the band metal started sounding more like pop and the true spirit of metal was dying, we wanted to bring back the traditional Heavy Metal back, I think right now things are changing lots of bands are making amazing music these days and it’s good to see that. You have toured extensively in Europe, have you thought of touring the other continents? We have toured Japan, South America and We tried India but due to certain reasons it didn’t work for us, 2018 will have more coming up and we are looking forward to it. How do you feel about the metal scene in Sweden? Sweden has brought amazing bands and it’s always a pleasure and happiness to be of this country, and metal scene is always welcomed and people love what we do. Absolutely, thanks for supporting us over the years and we are always thankful, because without you nothing would have happened. Stay Heavy…We will see you all sooner or later…until then.